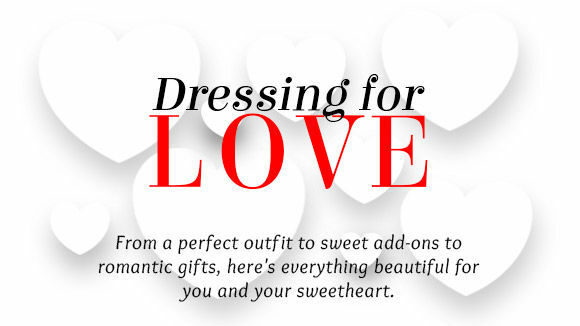 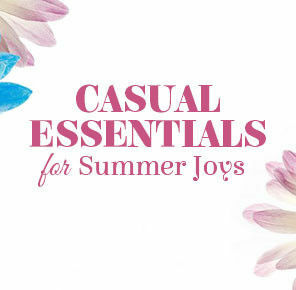 Walk through our array of sugar coated Ensembles, Accessories and gifts to give the perfect blush to your love story. 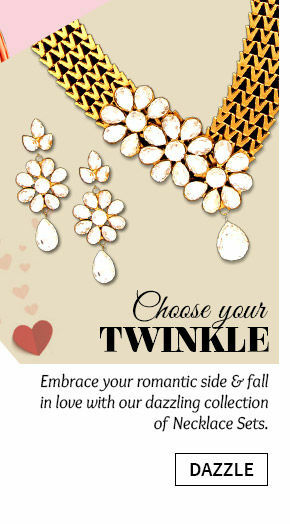 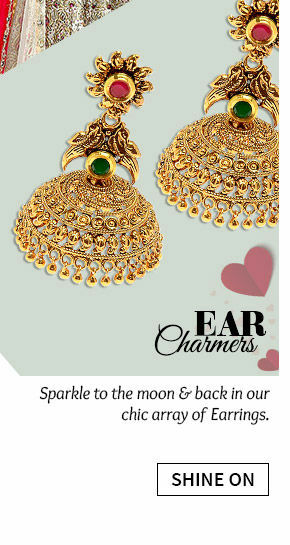 Flaunt the joy of love by slipping into glam and elegance. 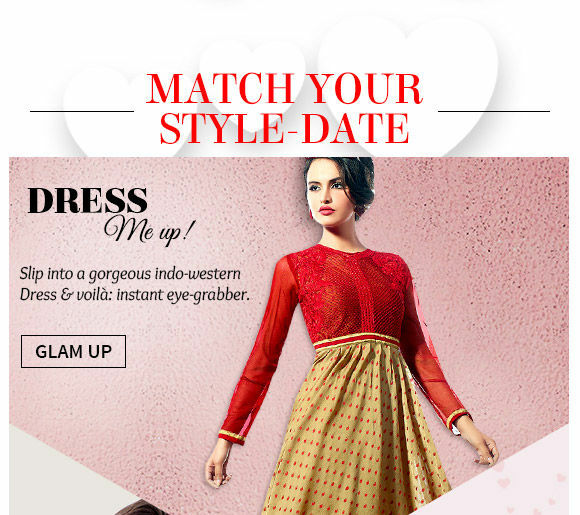 Mix and match a beautiful Jacket Style Dress or our Chanderi Long Kurta or even a Digital Printed Viscose dress with an old school Brocade Potli bag or Dupion Silk Clutch and let the magic begin. 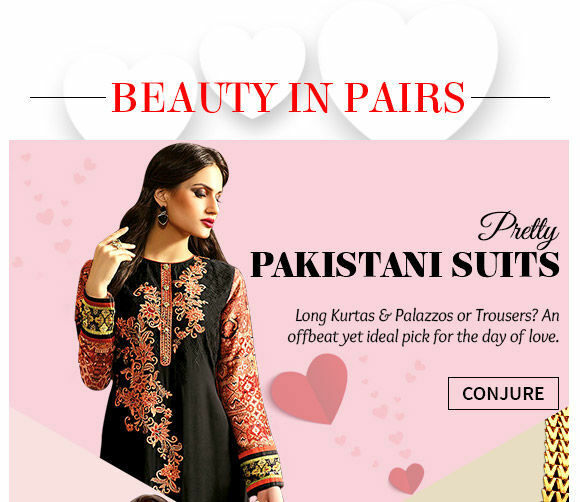 Pair up the Pakistani Kurta with a very contemporary Palazzo stitched in Resham, Zari, Abstract Print, Stone Work, Lace Work. 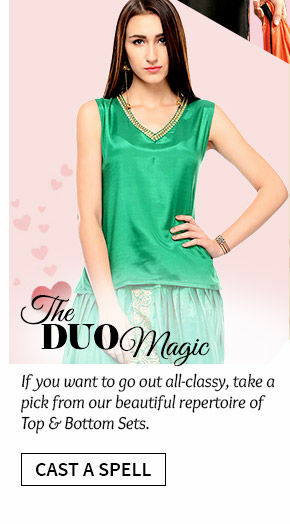 Evening dates can be best sorted by getting absorbed into the finest Top and Bottom sets embracing your neck with a Kundan Neckpiece, Meenakari Studded Choker or a Pearl Necklace in affordable prices . 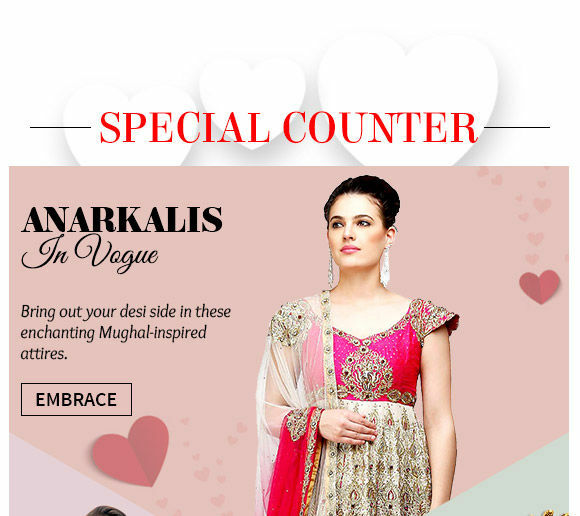 Take pride in plunging into culture and heritage by choosing among the drop dead gorgeous saaris and the Mughal inspired Abaya, Pakistani, Punjabi and A-line anarkaliss and kameej in subtle undertones of Beige and Pastels. 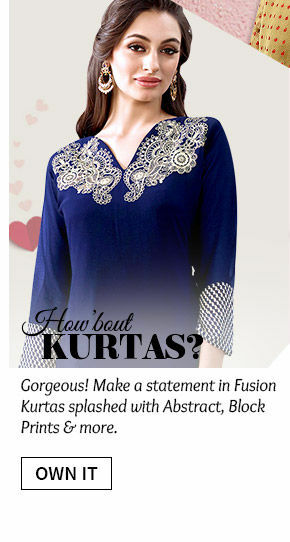 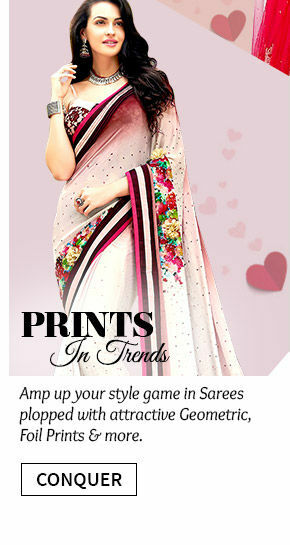 The Menswear Collection is a boon for the ladies out there! 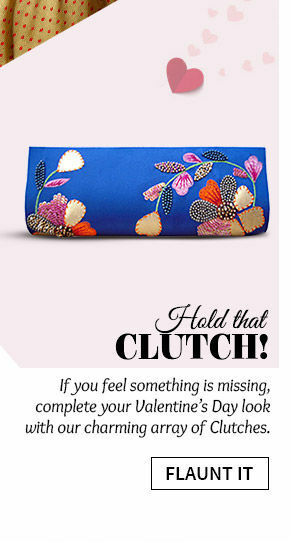 Gift your loved one the best of fashion in vogue this season. 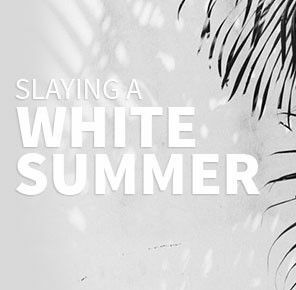 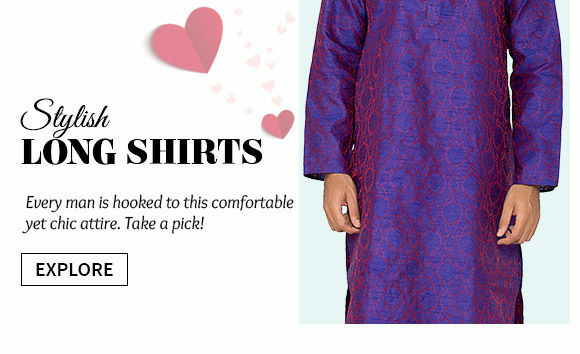 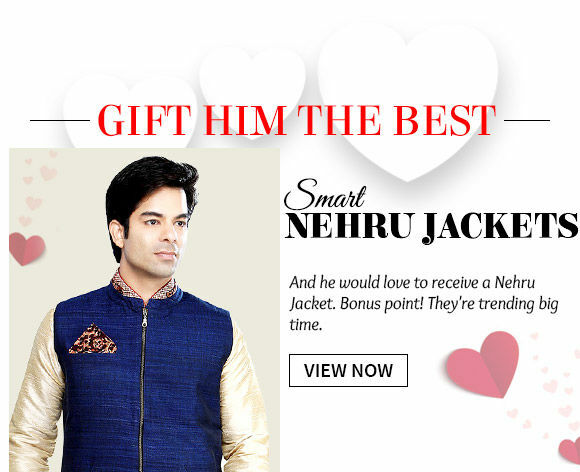 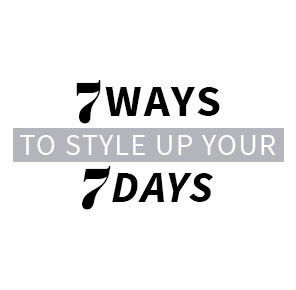 Be it a Nehru jacket, Long Shirt, Bandhgala, Dhoti Kurta, Pathani kameej and much more.